We are very excited for Bob to be able to use the shower in his house without the concern of falling. 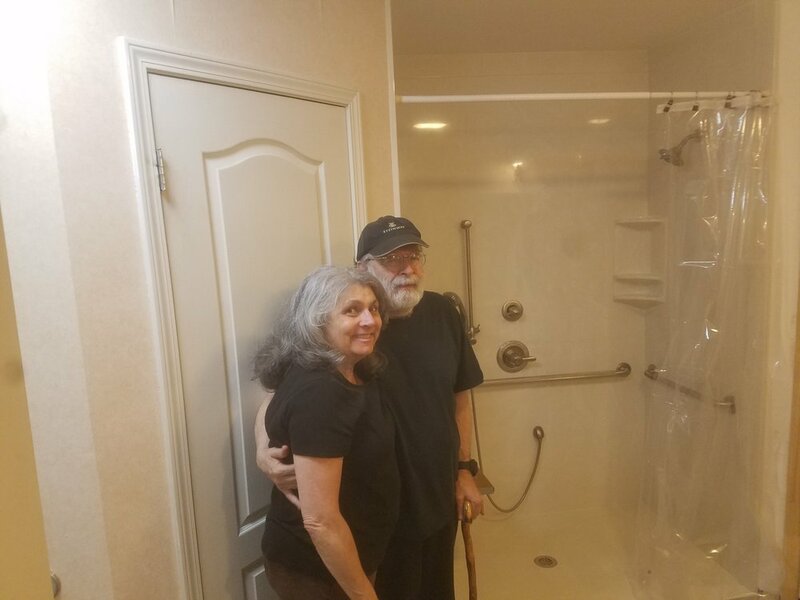 This shower remodel was a very practical way for Bob and Mary to stay in the house they have loved and cared for for years, but still get the use they need out of it. See below what they have said about this shower! "Love it, love it, love it! Thank you so very much for your 5 star diligence and efforts! Should future needs arise, will definitely use you again! Bob uses all of the grab bars. 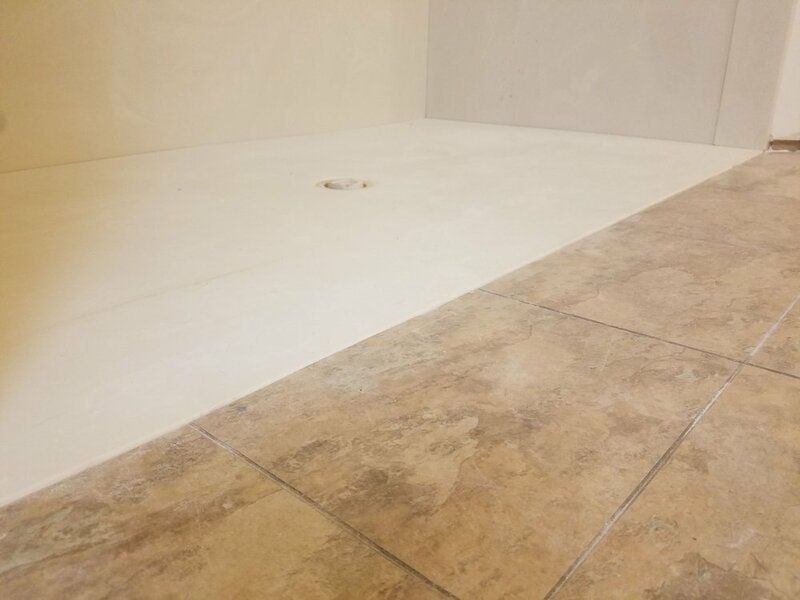 Prior to this shower renovation, Bob would be weak for hours after showering. Now, although tired after showering, Bob’s energy is no longer decimated, and even laughed afterwards. I no longer worry about falls. It is changing our lives. Thank you, Hendricks Remodeling. Please thank all who worked on it as well! Just finished up a project in Catherine's Place to turn an existing detached garage/shop into a father-in-law suite. The garage itself was 425 square feet of open space with a concrete ramp and sidewalk access. Customer wanted us to make the whole space wheelchair accessible. 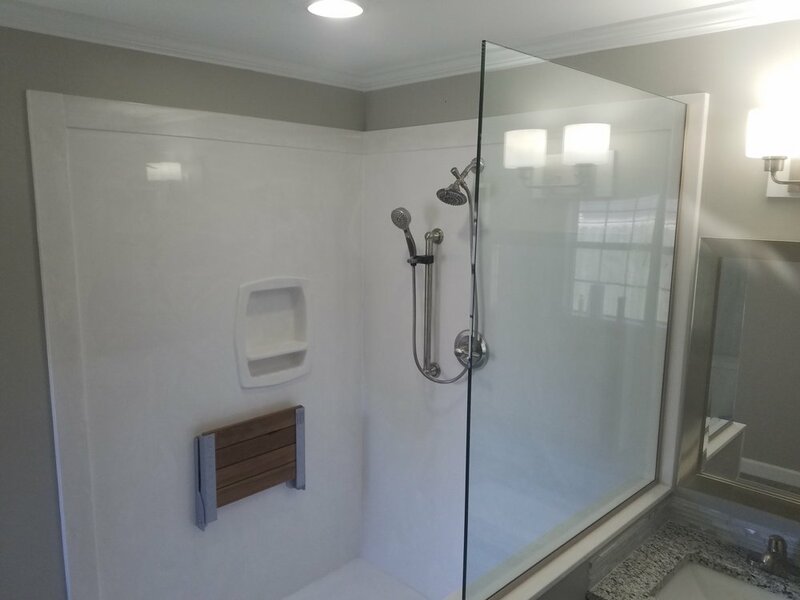 They also wanted a bathroom with a roll-in shower, and a private bedroom. We turned this regular old garage into a upscale suite including granite countertops, marble roll-in shower, and custom cabinetry.